Join Friends of Merrymeeting Bay (FOMB) on their ever-popular two Swan Island excursions, one by land and the other by sea. Each will be led by local historian, FOMB member and president of Friends of Swan Island (FOSI), Jay Robbins. The Island is considered by many the most precious jewel in the crown of Merrymeeting Bay. On Friday, September 7th from 9am-1pm, FOMB offers a tour of the Island by truck mixed with programming at the Island’s interpretative center and ample time to walk about. Sunday, September 16th the group hosts a nautical circumnavigation tour of Swan in the Maine Department of Inland Fisheries and Wildlife ferry from 3:15-5:30pm. There is an $8 island fee to MDIF&W for Friday’s tour and donations are suggested for the circumnavigation. Participants will meet and launch from the Swan Island ferry landing just north of the Richmond Town Landing. Required pre-registration for both of these outings is with Jay Robbins at 737-2239. Attendance is limited to the first 40 people to sign up, which happens quickly. 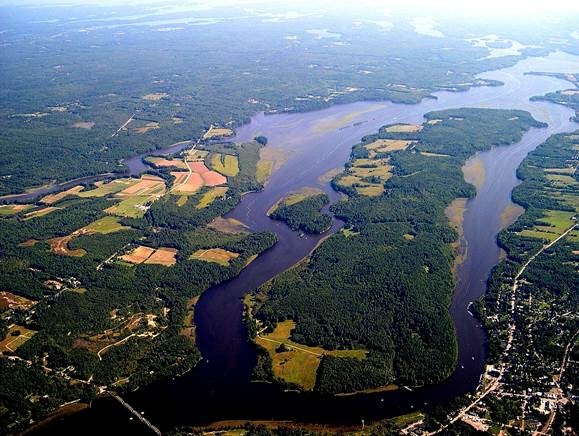 Located in the Kennebec River between Richmond and Dresden, four mile Swan Island is a part of the Steve Powell Wildlife Management Area and included on the National Register of Historic Places. The Island's name itself is derived from “Swango,” the Abenaki name for “Island of Eagles.” In the late 1800s, a small settlement on the Island survived by farming, fishing, lumbering, shipbuilding, brick manufacturing, and ice making. The Island was also reportedly visited by American historical figures Aaron Burr, Benedict Arnold and Colonel Henry Dearborn. On the tour, you’ll come to know the history of the abandoned community, once known as Perkins Township - and get an intimate look at several historic houses in varying stages of preservation from eighty years ago when last inhabited. 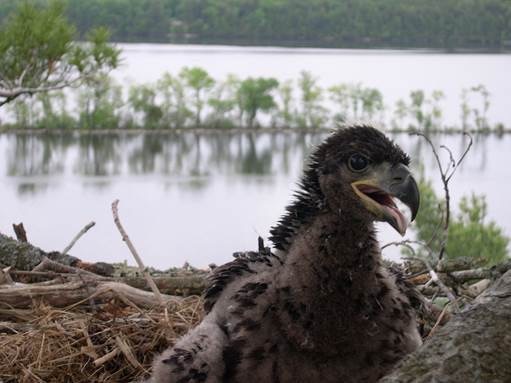 The Island is also known for its abundant bald eagles, white-tailed deer and wild turkey. There are also eight Adirondack style lean-tos on the island available for overnight camping and several trails to hike on. Jay Robbins, will lead the tour to this unique, island nature reserve managed by Maine’s Department of Inland Fisheries and Wildlife. Few are more qualified as Swan Island guide than Jay who aside from his involvement with FOSI and FOMB is active with the Arnold Expedition Historical Society, Stewardship Committee Member and Docent for Pownalborough Court House and tales-teller extraordinaire. The group will reach the island by ferry from Richmond for the truck and walking tour and begin here for the circumnavigation. Be sure to wear appropriate shoes, bring some drinking water, snack and binoculars and adequate clothing. FOMB’s next Outside Series event, interspersed between the Swan Island tours, is a Mushroom Walk with mycologist Michaeline Mulvey on Thursday September 13th from 5-7pm in Woolwich. Preregistration with Ed Friedman at 666-3372 is required.